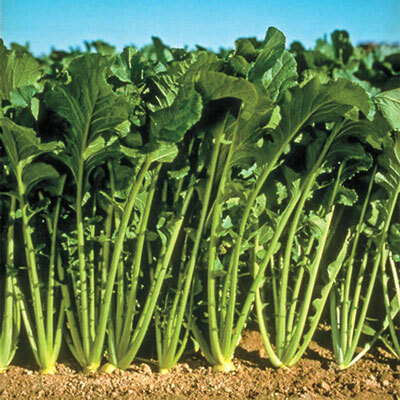 Topper Hybrid Turnip Greens | Henry Field's Seed & Nursery Co.
High bolt resistance and vigorous re-growth ability (up to three harvests in addition to the first harvest). For green top use only. Baby leaf stage ready in 36 days. Resistant to aphids and Mosaic Virus. Sow in early spring or fall. 36 DAYS. Foliage: Dark green turnip greens. Days To Maturity: 36 days for greens, 80 days for roots. Seed Count: Approx. 500 seeds per packet. Yield: Up to four harvests!